Thank you to all who came to visit threezero display at yesterday’s Wonder Festival 2019 [Winter]! 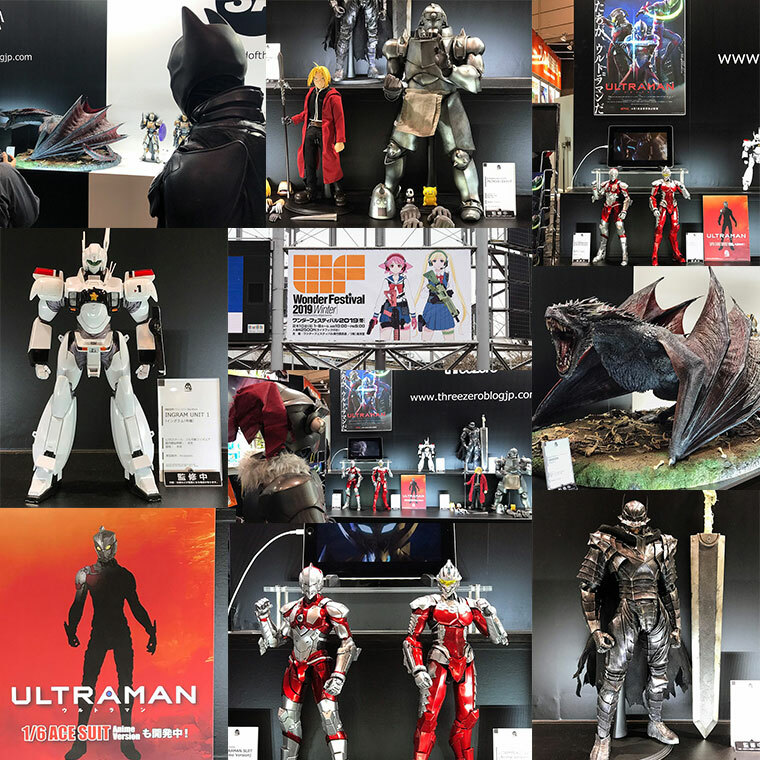 The newly announced and displayed items there were Edward Elric and Alphonse Elric from “Fullmetal Alchemist: Brotherhood”, and Guts (Berserk Armour Version) from “Berserk”! Although there were no sample on display, we have also announced that 1/6 ACE SUIT (Anime Version) from the anime “ULTRAMAN” is currently in works as well! These 4 items will all be 1/6th scale fully articulated figures.